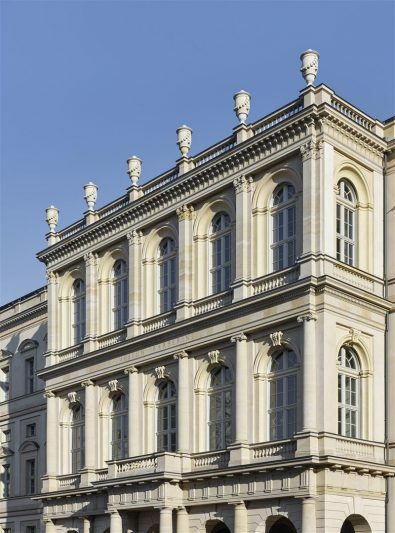 On January 23, 2017 Potsdam will get yet another cultural highlight: The re-erected Palais Barberini will open its doors to the public. Situated next to the likewise reconstructed Potsdam City Palace, the original building, erected 1772 with a reference to the Palazzo Barberini in Rome, was destroyed in 1945. The new building will feature an arts museum ranging from old masters to contemporary art with an emphasis on impressionism. There will be three temporary exhibitions per year. The works on display will be drawn from the collection of founder and benefactor Hasso Plattner as well as from other museums and private collections. From November 28 and December 4 the “Visitor Days” offer the opportunity to visit the building prior to the installation of the first exhibit. There will be information about the re-construction of the building and the eventful history of the distinguished original. Barberini Palace’s past will come alive through numerous photographs and documents, many of which for the first time available to the general public. If you are interested in this special Potsdam art museum one of our private guides can easily integrate it into your Potsdam private tour together with many of the other highlights of the city.